Beauty hides in every corner of Italy. If you’d like to come experience it with some of our expert guides, take a look at some of the tours we offer at walksofitaly.com. Lake Como and Lake Garda are top travel destinations in Italy year-round—but especially during the summer, when the weather’s hot and the water tempting. While both lakes are beautiful (and famous! ), you might have to pick between the two. How can you possibly choose? Here’s some guidance! Lake Garda is east of Lake Como, so it’s easier to get to from Venice and Verona. It’s just a 1.5-hour train ride (or 2-hour drive) from Venice, although Lake Garda is really close from Verona: just a half an hour in the car, or 15 minutes on the train. (The train station you want at Lake Garda is Peschiera del Garda). From Milan, on the other hand, it’s an hour to the southernmost tip of Lake Como, by either car or train. (There, the train station you want is either Como Lago or Como San Giovanni, depending on where on the lake you’re going). Both lakes have been beloved by celebrities since Roman times. (In fact, Pliny the Younger built two seaside resorts at Lake Garda in the 1st century, and the Roman poet Catullus may have had a villa on Lake Garda). But these days, it’s Lake Como that’s getting the most Hollywood buzz. George Clooney’s shenanigans from his lakeside villa have been well-documented, while Madonna, Richard Branson, and Gianni Versace all own villas here, too. 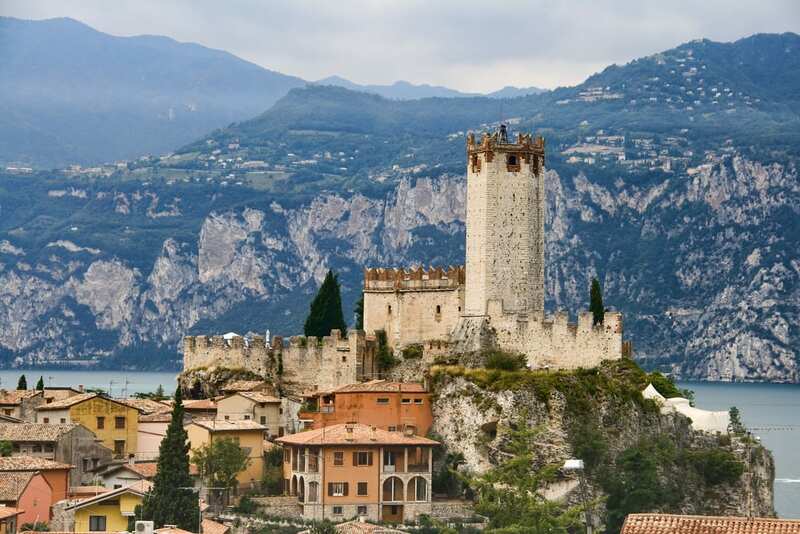 Lake Como’s town of Sirmione may be touristy, but it also boasts two popular sights: the imposing Scaligero Castle, which dates back to the 13th century, and the ruins of the Grotte di Catullo, an ancient Roman spa. (Although romantics believe it belonged to the poet Catullus—hence the name—there’s no actual evidence linking the two). Meanwhile, if you grab a ferry north from Sirmione (or rent a car and drive around the lake), there are rugged hiking and biking paths far from any development. But Lake Como has many sights of interest, too. It’s especially famous for its gorgeous villas and gardens. 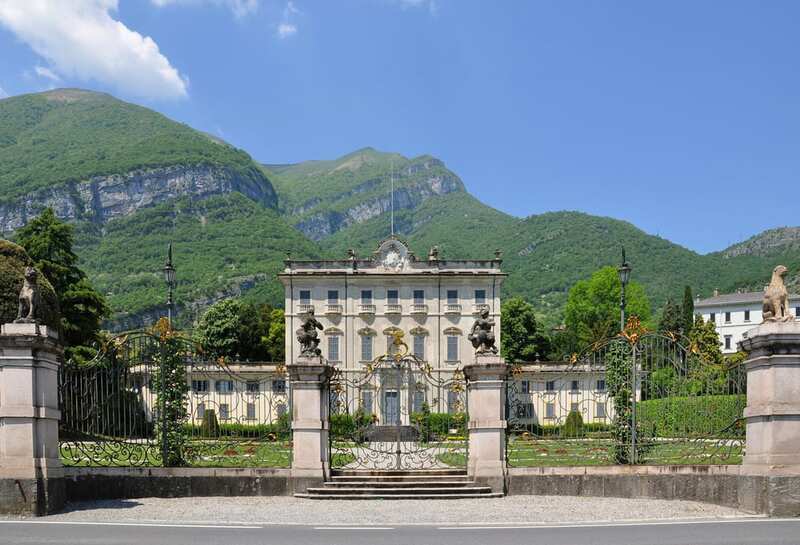 The 17th-century Villa Carlotta has a beautiful Romantic park and sculptures by Canova; the 18th-century Villa del Balbianello is famed for its terraced gardens; and the Villa Melzi d’Eril, in Bellagio, is a neo-classical villa with an orangery, Japanese garden, and sculpture. And the lake has more development overall, so there are lots of lovely little villages clinging to the edge all around the lake. Yes, you can get off the beaten path at Lake Garda (and Lake Como!). 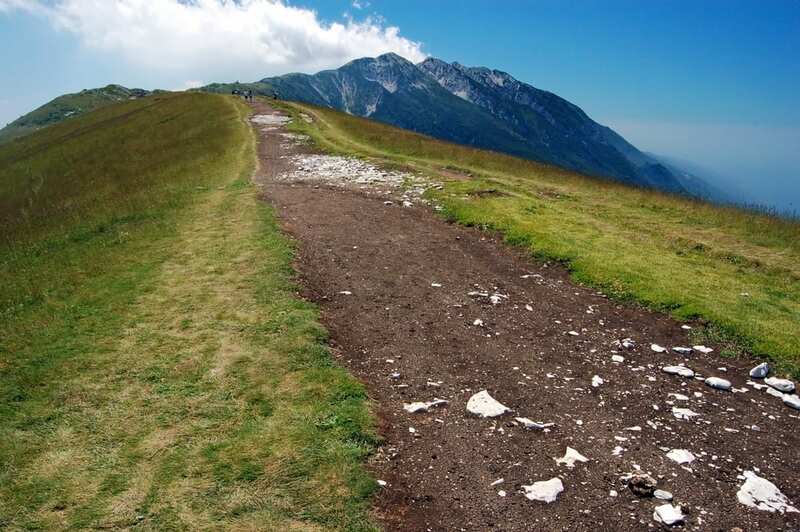 This is near the Monte Baldo refuge at Lake Garda,on the northeastern edge of the lake. The general perception is that Lake Garda is more touristy and crowded than Lake Como. That’s not entirely fair—Lake Garda has plenty of quiet, tranquil spots. In fact, the northern part of the lake, which is surrounded by mountains, is rugged and undeveloped. The difficulty is that the northern part of the lake is trickier to get to (most people come into the towns of Sirmione or to the train station, and it takes some two hours on the ferry to get to the northern part of the lake from there). Meanwhile, Sirmione, in the south, is gorgeous, but full of day-trippers from Verona and Venice. 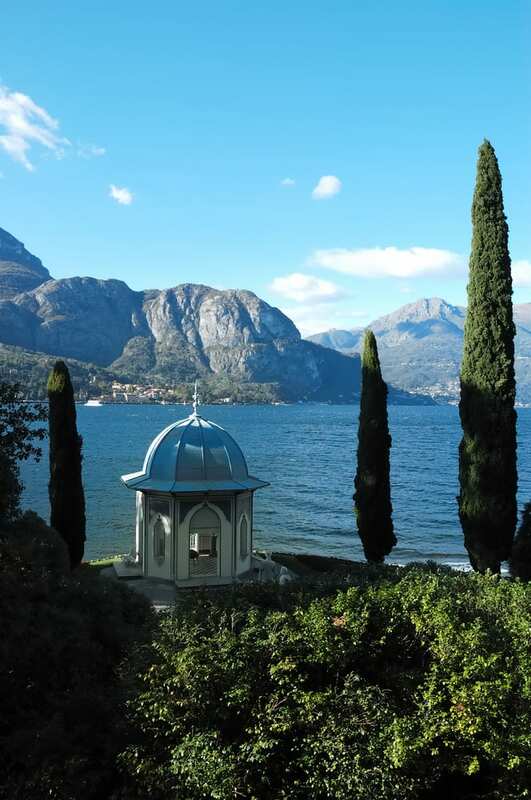 On the other hand, Lake Como is developed all the way around the lake… but with scattered villages that range between touristy and crowded and the more “authentic.” (Como, Bellagio, and Varenna are especially popular with visitors). In general, Lake Como tends to feel a little more well-heeled (remember all those opulent villas… and celebrity residents?) than Lake Garda. While accommodation and meals at either lake is pricey, particularly in the high season, Lake Como also tends to be a little bit more expensive, too. Lake Garda is the largest lake in Italy. But Lake Como? It’s the 3rd-largest. So both have plenty of opportunity for boating and windsurfing, and, from the shore, biking, hiking, and paragliding. They’re also both spectacular, although Lake Como is entirely ringed with the Alps, while Lake Garda’s northern half is. …but you don’t actually want to swim in either one. Or eat seafood from them, for that matter. 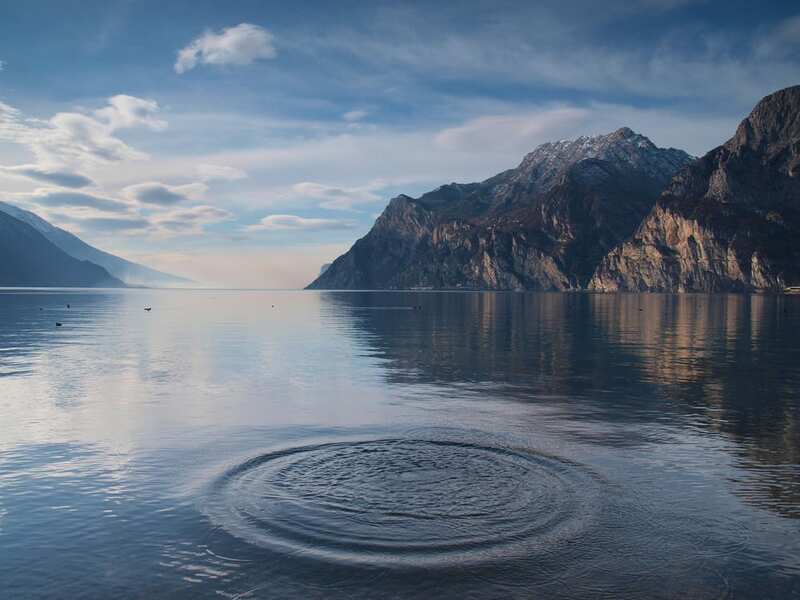 It’s sad but true: Italy’s major lakes are polluted, and Lake Garda and Lake Como are no exception. If you take a dip, be aware that getting a skin infection is a serious risk.